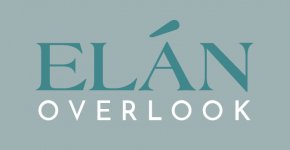 Welcome to Elan The Overlook at Laguna Apartment Homes nestled on a lofty hilltop in the beautiful city of Laguna Niguel. With a bird's-eye view of Laguna Beach's breathtaking shoreline, take in calming ocean breezes and enjoy coastal living at its finest! Explore endless aquatic fun and neighboring hiking trails, or choose from a wide array of nearby shopping, dining, and entertainment options. Our gorgeous and well-appointed apartment homes feature central heating and air conditioning, generous walk-in closets, breakfast bars, faux plank wood flooring, upgraded kitchens with granite or quartz countertops, gas appliances, in-home washers and dryers, as well as private patios and balconies. Our community boasts a sparkling heated pool, relaxing spa, BBQ and picnic areas, lush landscaping, and friendly on-site maintenance and management staff to serve your needs. Savor the panoramic view atop our timeless and outstanding pet friendly community in the heart of Laguna. Contact our leasing office for more details!